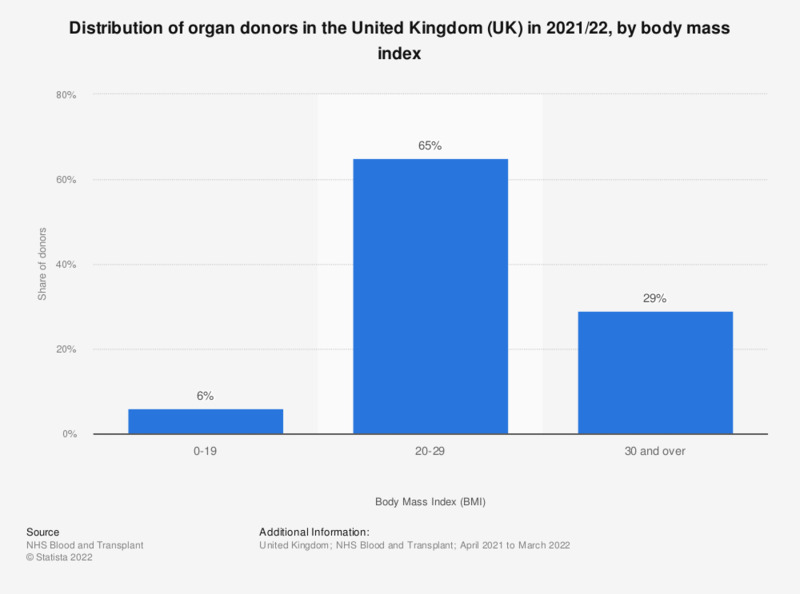 This statistic displays the share of organ donors in the United Kingdom (UK) in 2018, by body mass index (BMI). The majority of organ donors (66 percent) had a body mass index between 20 and 29. A BMI between 20 and 29 is considered normal. Everything On "Organ donation in the United Kingdom" in One Document: Edited and Divided into Handy Chapters. Including Detailed References.